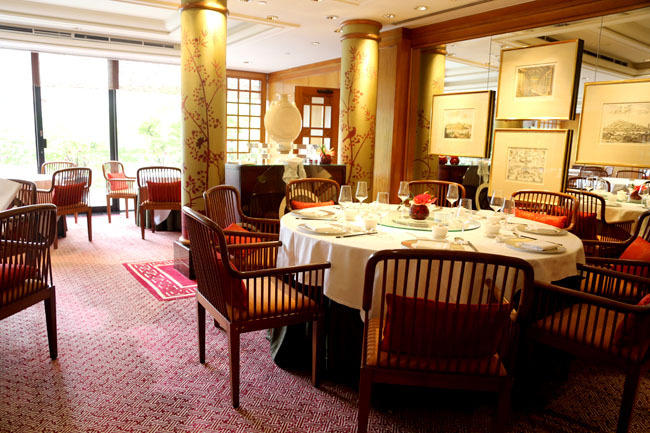 The Regent Singapore may be slightly older in terms of hotel age, but if you are looking for quality food, both Basilico and Summer Palace have been awarded “Singapore’s Best Restaurants” by Asia Tatler Dining and Wine & Dine. It was my first visit to Summer Palace despite all its years of history and accolades. The interior has the oriental settings of a typical grand Chinese restaurant, with the tables by the window seats most often reserved. 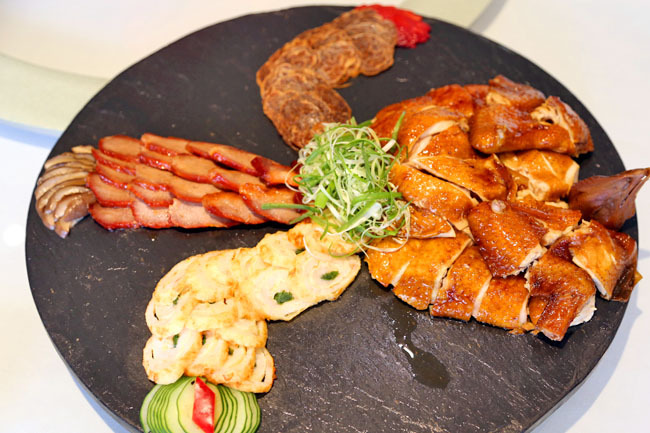 Summer Palace’s new “Imperial Tales” menu features an 8-course feast ($108++ per person, $1080++ for table of 10) inspired by stories from the palace from the different Chinese dynasties. 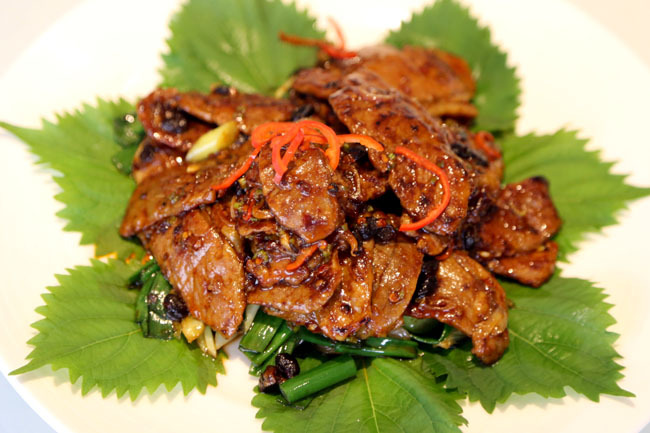 Empress Wu Zetian and Emperor Tang Gaozong may not recognise these dishes any more. 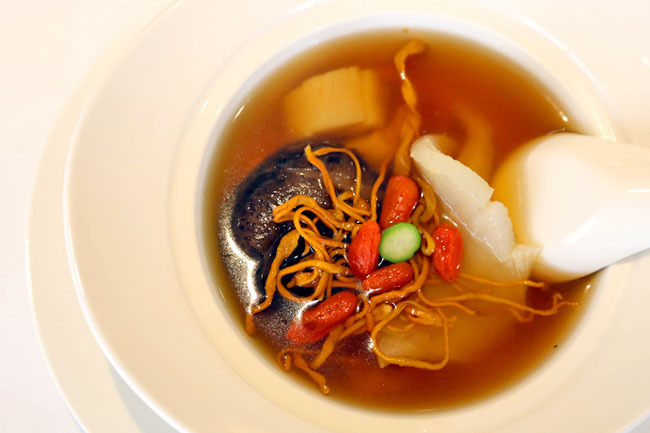 Executive Chinese Chef Liu Ching Hai did not disappoint, providing another interpretation to familiar Cantonese dishes. Summer Palace may not be the first Chinese restaurant to release an “Imperial Tales” series, but I have praised the meal a few times for some of their more exquisite dishes. My favourite was the first dish, a ‘Drunken Dong Po Pork’. 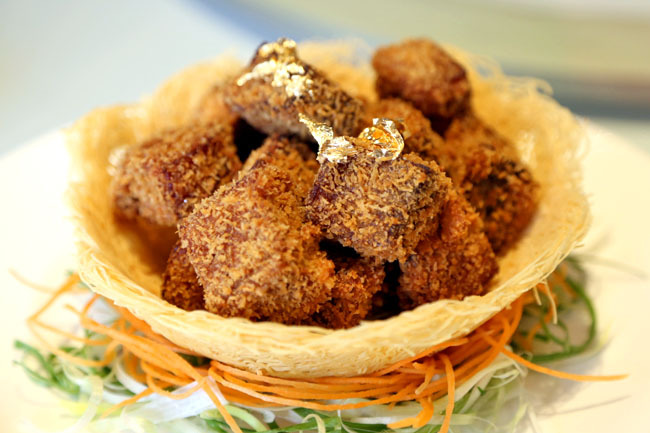 I know the picture of deep fried golden brown pork topped with gold foils look nothing like the familiar ‘Dong Po Rou’ – usually dark, oily and very fatty. Chef basically took the pork belly and deep fried it. The results are crispy cubes with the inside half-meaty, and half-tender-fatty. 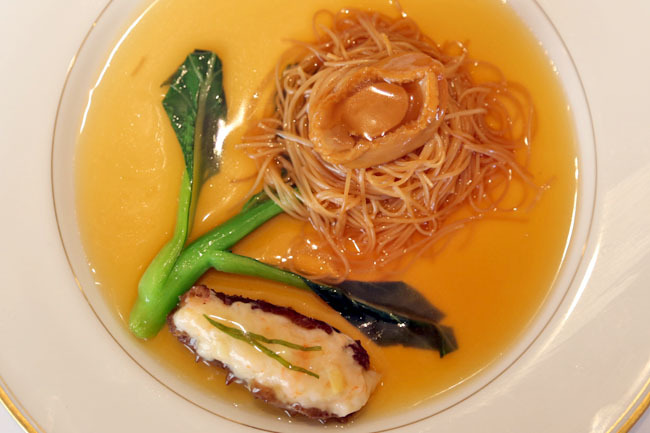 ‘Peach Blossoms in the Snow’ originally named by Empress Wu Zetian, is a dish of fresh plump shrimps on scrambled eggs. Usually the scrambled eggs would come as it is at the bottom of the plate. 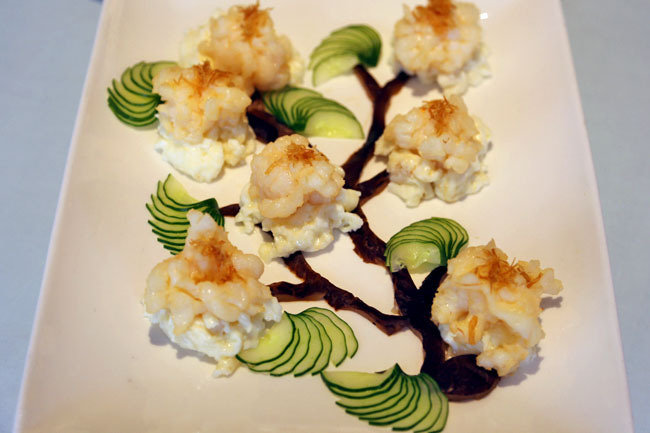 Chef Liu and team arranged the ingredients like a blossoming tree in the springs. The plus that it is aesthetically elegant, but the layout may take away some of the ‘wok hei heat’ present. I have to keep reminding myself not to look at these dishes in the conventional way. When choosing between style of plating, and retaining the original flavours, perhaps something’s gotta give. I do think the team strikes an appropriate balance. Overall, a satisfying meal and we can see how much effort is put into perfecting the entire meat, not just individual dishes. 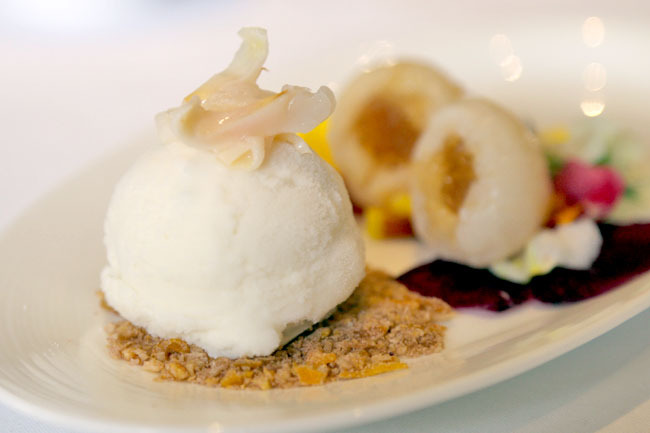 Of course, do not leave before desserts, a Lychee Ice Cream with Bird’s Nest inspired by the ‘Lychee Concubine’ Yang Gui Fei. Sweet pleasures. Summer palace at Regent is very, very good. The service is fantastic too. I remember when I was there, the servers kept the teapot 10m away from us, so they had to pour for us each time. A pity it’s hard for small groups to eat at Chinese restaurants and there are so many new concept restaurants. Yes, The food quality and taster was really good when we held our wedding anniversary at the restaurant last month. Highly recommended.